Update: I just checked on this and my poem isn't showing up in the table of contents on Lulu. I've sent an e-mail to the editor to see if anything can be done. If not, well, I guess I'll submit it to another anthology! Thirteen O'clock has others that might be appropriate! Update #2: Got a message from the editor. My poem missed getting into Welcome to the Dance because of a mix-up, so it will be in the "X VI" anthology (horror/supernatural). 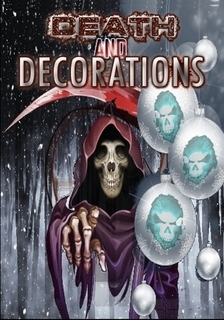 These are a series of anthologies for stories that don't fit their themed collections. X V (or X Five) is on its way to the presses, so X VI it is! I have another (tiny) entry in an upcoming horror anthology being published by Thirteen O'Clock Press. It's a poem this time. It was supposed to be in a collection called Welcome to the Dance, but there weren't enough entries for a stand-alone book so it is being combined with another anthology, The Call, which suffered from similar difficulties. I don't have a final title yet. I don't know what the cover will look like. I don't know how the anthology will be arranged as it is being combined. But here's a list of the accepted submissions (as provided to me by the editor) in alphabetical order by the author's last name. Well, sort of. Some of the entries have two authors. Now, when I say my poem is a tiny entry, I truly mean that. It has 9 rhymes* using only 76 words all in one sentence. Isn't that enough to make you curious? It's so small it almost didn't make it into the book. The editor approved it, I got the contract, and then it was lost in the shuffle. Fortunately, a quick e-mail got things straightened out. I hope. * Yes, it rhymes—you’ll have to deal with that in your own way. Oddly enough, I’ve had better luck selling rhyming poetry than non-rhyming free-form. As always post either the complete story or a link in the comments. Going to give you a bit more scope this week so how about a word count of 450 words. My son would like you to include a sport of some sort this time, so see if you can. Elated at being alone and in the lead, Melvin settled into an even pace, his footfalls tapping out a rhythm that echoed faintly in the early morning mist. His breathing quickly adjusted. His lungs no longer burned, his heart no longer strained from the torturous effort that had pushed him not only to the front of the pack, but far beyond. A peek at his watch told him he was well ahead of schedule. All that remained left was the monotonous repetition of miles until the end of the course. A sign caught Melvin's eye as he pushed himself forward; "one way," it read. After what seemed like an eternity, Melvin checked his watch again. It wouldn't be long now. 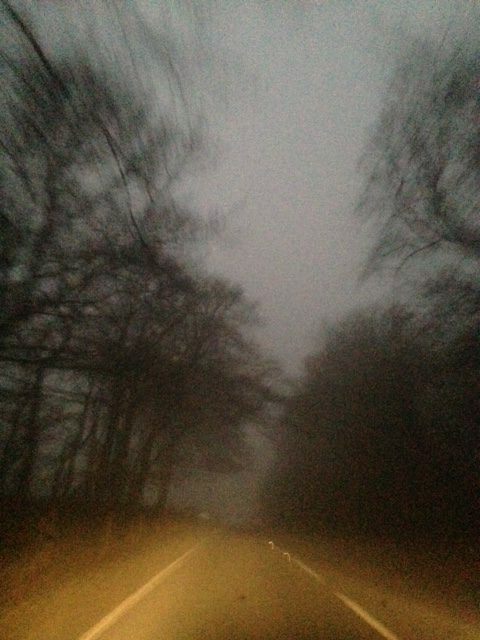 In the distance, he could see someone standing near a tape that crossed the road, though no spectators were in sight. Unusual, he thought; there's always a crowd at the finish line. His pace slowed. A quick glance behind showed no other competitor in sight. Now only yards away, he approached the waiting figure, noting its odd clothing. A tattered, hooded robe stood in stark contrasted to the bright garb normally worn by the race staff. An ethereal whisper came from within the hood. "For you—yes." Melvin thought the answer curious, but with his mind still consumed by the race, he reached for the tape. As he did, a sharp pain shot through his chest. His arm ached miserably. His legs became heavy, and he fell to his knees. Crimson droplets splashed across the asphalt. Above him, the figure lofted a wooden shaft from which a large, curved blade, now bathed in red, extended. Melvin's eyes began to close, and with a final, stabbing pain, his mind went dark. Resting the staff against a shoulder, bony hands pulled a gray stone tablet from within the robe. A skeletal digit scratched a tally upon its surface. "Ah," it hissed with breathy satisfaction. "Completed in record time." Terri Deno's efforts reminded me that I haven't posted any photos lately. Not that I've ever been very regular about it. Still, I had a couple of pics that should work. They're just phone images, so they're not high resolution, but here they are! 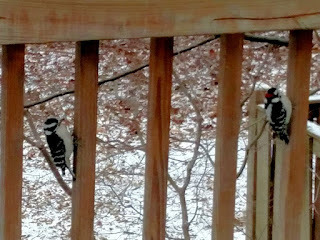 Here are a couple of woodpeckers hanging around the deck near the feeder. 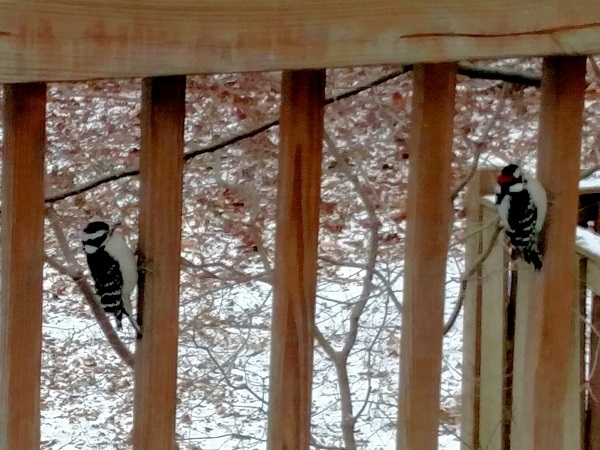 The cold weather sure brings a lot of activity to the suet and seed we have for them. 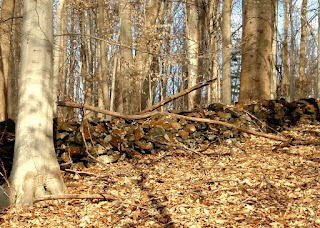 This is an old wall (well over 100 years old) that used to delineate the farm fields in what is now a park. I hike or jog there when I can. 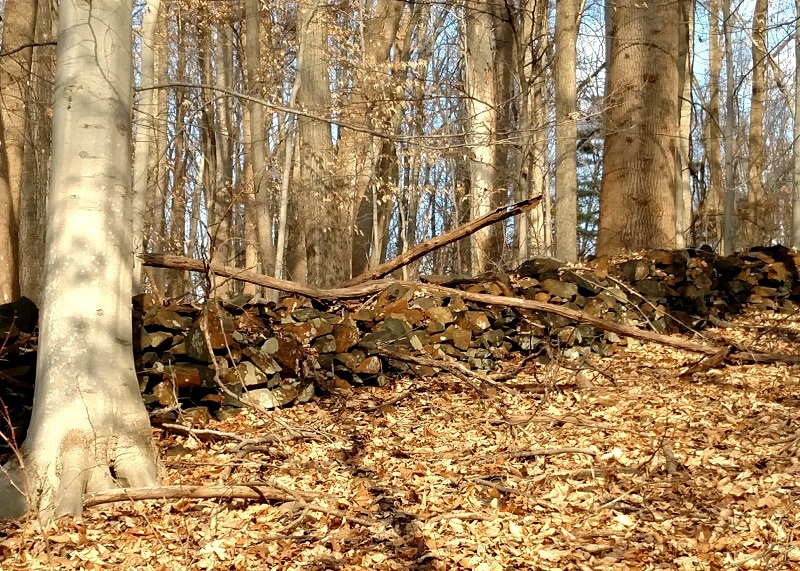 These stones are what the farmers used for fencing before barbed wire came about. Okay, so they're not so exciting, but it's all I can do for the moment. Check back again sometime. Maybe I'll have something better (I hope!). Images IMG_20170109_122614.jpg and IMG_20170109_122734.jpg ©2017 K. R. Smith - www.theworldofkrsmith.com - may be used, in whole or in part, with attribution.